Laura A. Sullivan, 33, of 53 Minthal Drive, was charged Dec. 12 with first-degree failure to appear and second-degree failure to appear. Tajana McFarlane, 21, of 179 Camp St., Meriden, was charged Dec. 12 with sixth-degree larceny. Vanessa Chaparro, 21, of 37 Harrington Ave., New Haven, was charged Dec. 12 with sixth-degree larceny. Ernesto Vargas, 50, of 22 Lincoln St., New Britain, was charged Dec. 12 with sixth-degree larceny. Linda Piccolo, 65, of 10 Pine Grove Road, was charged Dec. 13 with three counts of third-degree forgery and three counts of sixth-degree larceny. Dwight Harris, 28, of 70 Middlesex St., Waterbury, was charged Dec. 14 with second-degree failure to appear. Generoso Matos, 27, of 71 Lilian St., Bristol, was charged Dec. 14 with second-degree burglary and first-degree larceny. Nathan Munroe, 30, of no certain address, was charged Dec. 14 with interfering with an officer and violation of a protective order. Ashley Upson, 44, of 46 Flanders St., was charged Dec. 15 with disorderly conduct. Dustin Hiney, 45, of 46 Flanders St., was charged Dec. 15 with disorderly conduct. Carrie Steele, 44, of 30 Merrel Ave., was charged Dec. 16 with having a nuisance dog. 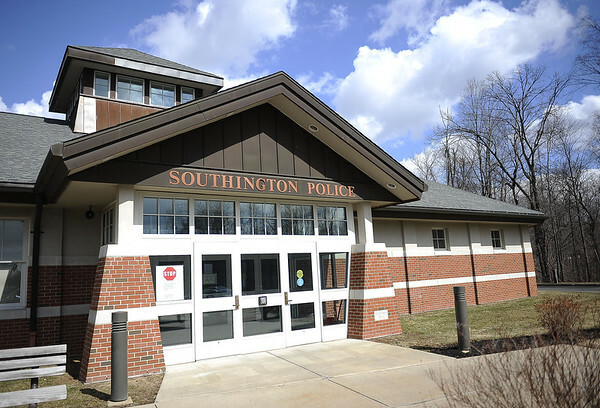 Michelle Young, 29, of 153 Tunxis Road, was charged Dec. 19 with sixth-degree larceny. Robert A. Crotty, 45, of 325 North Main St., was charged Dec. 19 with second degree violation of conditions of release and second degree failure to appear. Darius Thomas, 27, of 62 Ashford St., Hartford, was charged Dec. 19 with second-degree harassment and second-degree threatening. Michael Badgley, 30, of 2786 Meriden Waterbury Road, Marion, was charged Dec. 19 with second-degree breach of peace and third-degree assault. Joshua Werner, 41, of 1204 Stafford Ave., Bristol, was charged Dec. 19 with interfering with an officer and violation of a protective order. William Ayala, 22, of 23 Mead St., New Britain, was charged Dec. 26 with possession of less than a half-ounce of marijuana. Toni Landino, 49, of 150 Burritt St., Plantsville, was charged Dec. 27 with having a nuisance dog. Posted in New Britain Herald, Southington Herald on Thursday, 7 February 2019 20:09. Updated: Thursday, 7 February 2019 20:11.